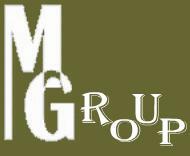 MG Group - Egypt. Business-2-Business Manufacturing and Marketing. MG Group - Egypt. Manufacturing and Marketing. Industrial Manufacturing, Production, Operations, Management, Marketing and Packing Cosmetic / Kosmetik Products. Company-2-Company (C2C), Company-2-Customer (C2C) and Customer-2-Company (C2C) in the area of Industrial Manufacturing, Production, Operations, Management, Marketing and Packing mainly to Cosmetic / Kosmetik Products for Beauty, Hair care, Development Tools, Air freshener, body Sprays and Perfumes of World Class. MG-Group is interested in the Middle East and Africa as well as the Europe Market.